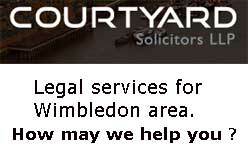 Courtyard Solicitors LLP law firm based in Wimbledon London SW19. Personal and Business fixed fee options Legal services for Wimbledon area and the UK. 2 St. Mark’s Place, Wimbledon, London SW19 7ND, United Kingdom.